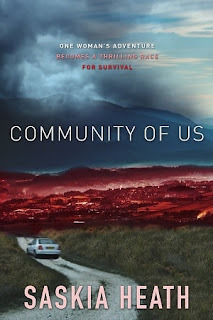 Today we are interviewing Saskia Heath, author of the apocalyptic novel "Community of Us." I am an Australian author living in country Victoria on a small farm with my menagerie of animals. After working in the city for ten years I made the move to the country and love it. My writing has time to flourish and I really enjoy the back to basics lifestyle with the nearest shop fifteen minutes drive away. "Community of Us" starts with Matilda leaving her job and deciding to take a break and go to a self-sustaining community in a beautiful part of Australia. While she is there a deadly virus breaks out in the cities and starts to spread. The community fights to find a cure and save family and friends. This community looks to natural healing and metaphysical concepts to treat the crisis, taking a different perspective from your average apocalypse scenarios. Female sci-fi and fantasy readers, a lot of apocalypse stuff is written by men I wanted to offer a female perspective. I wrote what I wanted to read but couldn’t find. What inspired you to write a book about humanity’s desperate race for survival at a time when the world is moving in a different direction? Reading the papers everyday it is hard to stay positive; all the hate, posturing and greed can make me feel hopeless. The fantasy of making change by having to start over is interesting to me. Tell us about the protagonists, Matilda and Jessie. Matilda is trained as a Naturopath but can’t make enough money doing that so works at a newspaper and yearns for a simpler life. With a history of being unlucky in love she lives alone and relies on her dog Scout for company. Everything she thinks she knows about herself is about to be turned upside down. Jessie is a scientist working in a lab feeling lonely and disenchanted, this wasn’t how it was meant to be. He has his mates and his sister Mel but he feels like his life hasn’t really started. Being a bit of an introvert he finds it hard to go out but decides to head to a sustainability course that sounds interesting, he sees Matilda and everything changes. It’s hard to pick favorites but it has to be Matilda, writing is definitely therapy for me and when I was in the flow with Matilda it was a joy to write. Jessie was harder to write which probably made it more satisfying. My favorite reads growing up where things like "The Chrysalids" by John Wyndham I love his writing style and "Z for Zachariah" by Robert C. O’Brien both are post-apocalyptic stories and influence me today. I love Margaret Attwood, "Oryx and Crake" especially but also fantasy including "Lord of the Rings" and "Harry Potter." My first draft still makes me cringe. I have done a lot of work on dialogue and will endlessly be chasing the goal of brilliant dialogue. Work and more work seems to me the only way to evolve, it’s hard to put your finger on what changes but I just have to keep working. I love it. 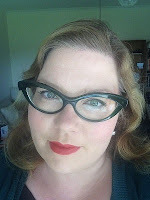 I had a few false starts with agents and publishers that I found really frustrating. Publishers take on such a small percentage of writers it makes sense there is plenty of good stuff out there not being published by traditional publishers. So I am all for it. I write my manuscripts on a computer. I can type a lot quicker than I can write so it allows me to get things down quickly, as the ideas flow. Without giving too much away, what can readers expect from the second book in the Eden series? Well there will be missions out into the wider world to see what is going on outside the Community and to try and assist other survivors, some will be friendly, some won’t. Eden community now has a much larger population after the immediate threat has passed the transition to a function village is not always smooth but that is all I will say for now. Lapsed naturopath Matilda dreams of a quieter life, away from the city, while disillusioned scientist Jessie wants to escape his lab and get a girlfriend. Neither of them can envision the catastrophe that lies ahead. Our journey starts in the moody metropolis of Melbourne travelling to the earthly paradise of northern New South Wales, Australia. How can anything bad happen in such a beautiful place? Will natures’ power aid or kill us? A thrilling adventure ride as humanity becomes locked in a desperate race for survival. Gaia will have her way. Will it also be our way? A compulsive read and a ripping start to the series. Community of Us presents a terrifyingly possible future.